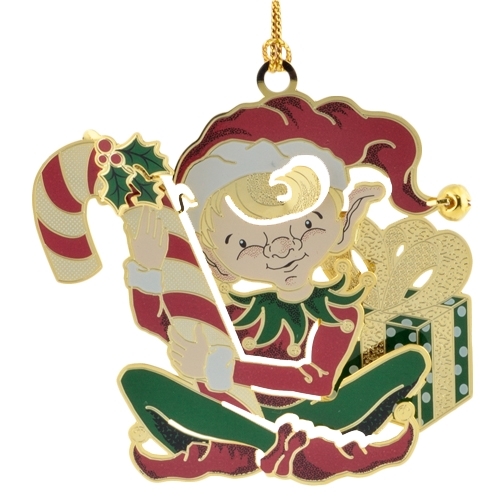 Add this playful little Christmas elf ornament to a gift basket or use it to top off the stocking. The Christmas ornament is handmade and hand painted from brass and will last for years. It is ready to hang and is sure to be a favorite on the tree this year.